A soothing song about living in a world of dreams and spending just a moment in time with a special someone. Los Angeles native Julia Marie is a powerful vocalist and eclectic multi-instrumentalist. She has recently been writing and recording her debut album, which features material by veteran producer Peter Rafelson (Madonna, Elton John, Britney Spears). Her EP is due for release this summer on RM Records. This new music blends luscious textures and curious lyrics to create a rich sound that highlights her unique style. Attracted to the arts at an early age, Julia began writing poetry in journals when she was six years old and soon started learning classical guitar, which led to a natural interest in songwriting. Today she draws from her extensive background of studying anthropology, ethnomusicology and North Indian classical music, while seeking inspiration from museums, mountaintops and human connection. 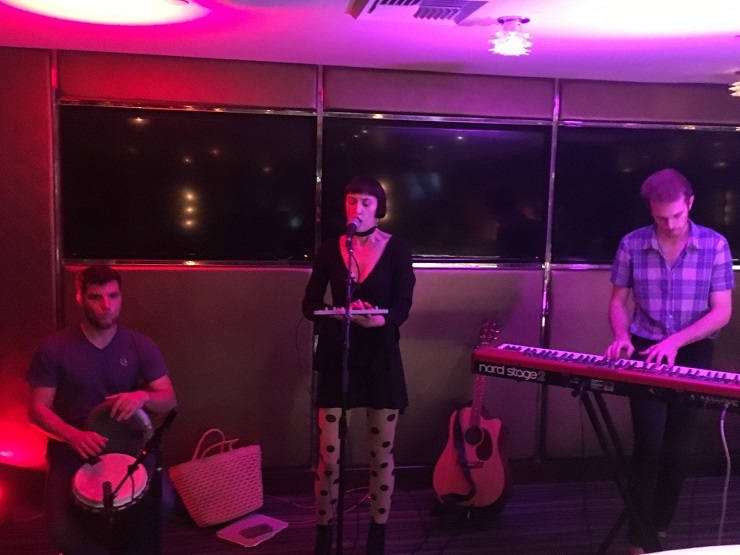 Julia weaves these elements into a dreamy package with her soulful voice. Julia performs regularly at clubs and venues in the Los Angeles area. Her recent appearances include showcases at the Silverlake Lounge and Los Globos, as the guest artist at GirlTalkHQ’s The F Word Event, as a panelist and performer for Activate Her Voice, and at the quirky whirlwind variety show, Scot Nery’s Boobie Trap. This year, Julia performed alongside Peter Rafelson and Grammy-winner Omar Akram at the 11th Annual Chinese American Film Festival.